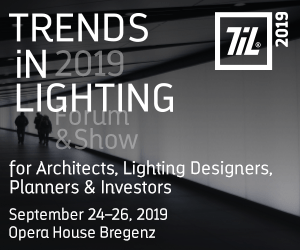 In the old days a designer normally had to design a lighting product, then the manufacturer build the manufacturing tools of that part, which could take up from months to even more than a year. After the tooling arrived, the part was finally manufactured and tested, with each new test iteration taking a couple of months. The whole process often took more than a year from the initial idea to the time a final product was ready and available to get marketed. Today, a design engineer uses three-dimensional, computer-aided design software (CAD). Now he design a lighting fixture or an individual lighting component simply on a computer screen. After completing and ray-tracing the design and/or it’s functionality, he submit it to a 3D printer for manufacturing, in the house or at a subcontractor. The printer can be filled with plenty materials, such as fine metal powders or plastics, or even a combination of various materials. 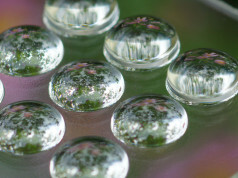 A laser device literally builds or “prints” the piece out to the exact specifications. Engineers now can immediately test it — if needed several times a day — and when it is just right a new part is born. If not fine, it’s easy to change the CAD file and reprint in quantities matching the demand. 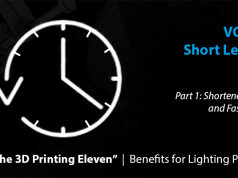 Iterative design processing may be applied throughout the new lighting product development process. Normally, changes are easiest and less expensive to implement in the earliest stages of development, but with 3D printing, products can be adapted anytime during the development process to catch up with changing market offerings. Improved led modules, enhanced drivers or smaller heat sinks may result in an immediate chance or need to optimize a product under development. A first step in the iterative design process is to develop an inspirational or immediate functional prototype. After selecting the right parts and the assembly, the prototype is ready for evaluation by a project team that, preferably, is not associated with the product to ensure the delivery of non-biased opinions. Feedback as delivered by such a focus group is synthesized and incorporated into the next iteration of the product design. 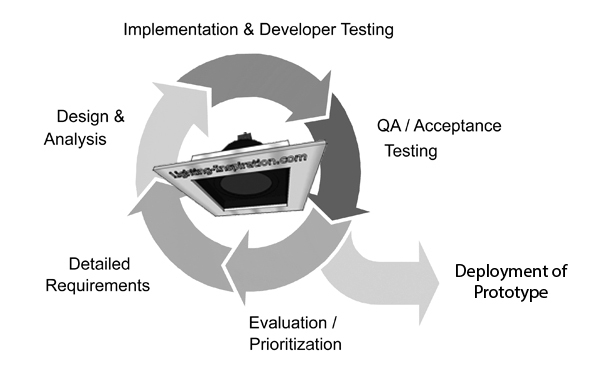 That process is repeated until user issues have been reduced to an acceptable level, and the product is ready for series production. With 3D printing you can easily change the CAD file and reprint Or, print a couple of parts together in one run, all of them slightly differing from each other. at low cost, in an extremely short timeframe! 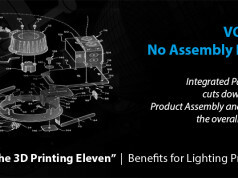 When developing a new lighting product, keeping development and manufacturing cost low is always key. Creating product by 3D printing, the easiest way to reduce the cost of the product is to reduce the amount of material that is being printed. This can either be done by making the product smaller or by removing material from the product, for example hollowing out a solid object. Sometimes it is easy to remove a large portion of material while still keeping the overall shape of the model. The second option you might have is to change the material itself. External influences, such as heat development or ambient temperatures, may however limit your freedom of choice here. In the past, performance worked against speed: the more tests you did to get that optimal performance, the longer it took. When complexity is free, the ‘design-to-test-to-refine-to-manufacture’ process for some components is being reduced from years to weeks, or even days, if needed. The product development cycle has become extremely short now: in a couple of days you can have a concept, the design of the part, you get it made, you get it back and perform some tests whether it is valid and within a week you have it produced. … It is getting both better performance and speed. 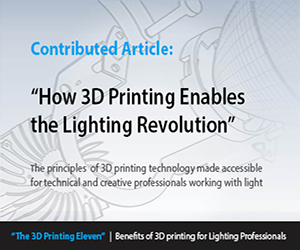 Thanks for reading Volume 4 of the “3D Printing Eleven for the Lighting Industry”. We will be back soon with the next episode: with 3D printing, ‘no assembly is required’. Next article‘Optics John’ – Volume II is Out!